When the action moves from the beach to the water, your Olympus digital camera neednt be left behind. 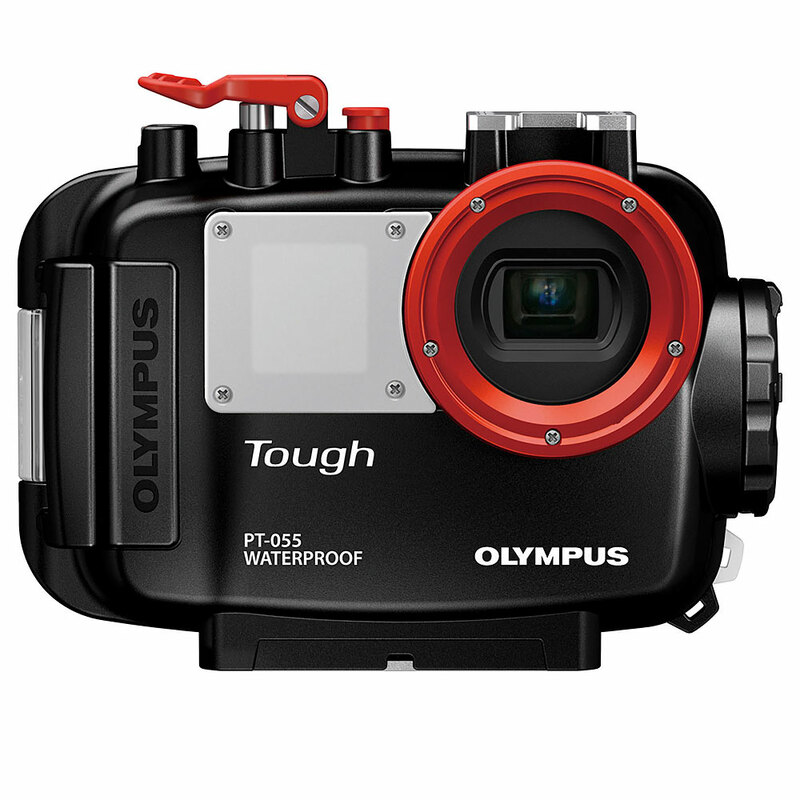 The PT-055 underwater case has been specially customized for the TG-830 camera and is waterproof up to a water pressure equivalent to a depth of 45 meters. This case is perfect for fascinating underwater photography or capturing the thrill of water sports and activities. With its durable, high quality polycarbonate construction, it protects the camera from water while also cushioning it from knocks and bumps on land. Complete control of photo functions, such as zoom and flash mode, is also permitted. Standard tripod socket permits attachment of lighting tray.